The film screening was a success as a result of collaboration of local groups which communicated effectively and got organized to make the film available to the public. There was a good turnout and left many people deeply moved. You can read below in the comments written on post it notes as everyone was leaving. Due to the length of the film we weren’t able to hold a discussion which has it’s advantages and disadvantages. Sometimes it is good to sit with a difficult thought for a while to fully understand its implications before moving on to action. At the same time there is a fine line between thinking about a challenge and despairing over it if the thinking doesn’t turn into understanding, motivation and action. There are voices in our groups wanting to do something solution focused and empowering – an event or film screening. There is a number of films we have available and weare in talks with regional speakers so watch this space. 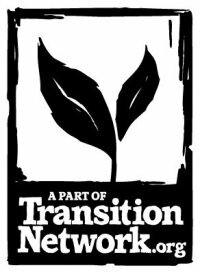 Southend in Transition aims is to look for solutions with and within the local community and groups so we will support any such endeavor and keep you up to date. Post it notes write up.